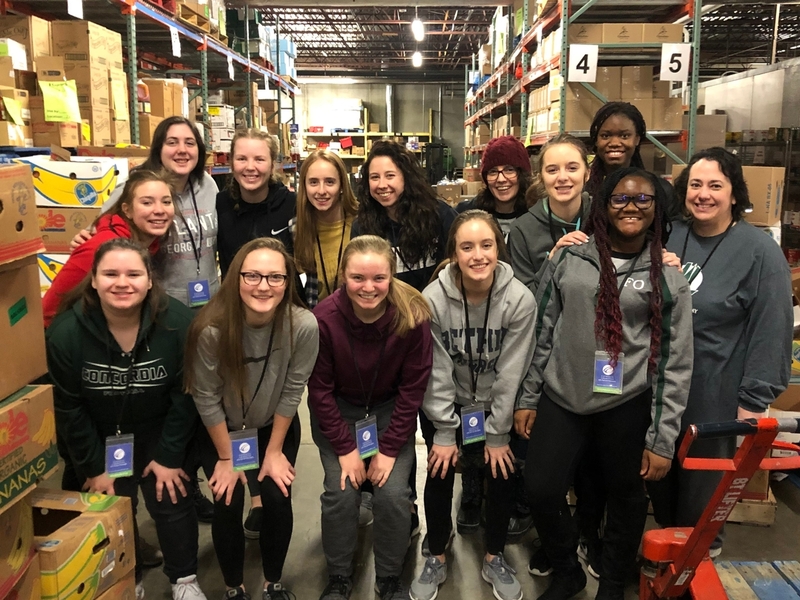 Vision4Life at Concordia Academy began in the fall of 2007 as the student body responded to a very real need in the recently flooded area of southern Minnesota. Since then, the program has become an integral part of the curriculum of each school year, with three academic days set aside to focus on the three pillars of the program: small group fellowship, personal spiritual growth, and community service. The program became known as Vision4Life because Concordia Academy values lifelong learning. Graduation from an institution is bound by time, but lifelong learning is not. What Concordia Academy hopes to instill in its students is the pursuit of these three pillars which transcend the academic institution by experiencing a taste of each of them in these three days. 1. Small group fellowship is fostered throughout the academic year as each student is a part of a same-gender group of 12 – 15 students called Family Life Groups. Each group stays constant throughout high school; as seniors graduate, that group’s juniors move into the leadership role. The groups meet twice a month during the school year working through a curriculum developing trust, friendship, and communication. Our vision for this pillar is that students learn the value of fellowship in a purposeful community supporting a life of faith and spiritual growth. 2. Personal spiritual growth is encouraged as we take time to stop, set aside the business of academics, and sit at the feet of a spiritual mentor and teacher. Every year, Concordia brings in one leader for the boys and one for the girls, charged with teaching Scripture and encouraging us all to take the next step of growth in faith. Side by side, teachers and students worship and reflect on the encouragement from our leader. Our vision for this aspect of the program is that students learn the value of pursuing continual faith growth by pausing in their daily routines to seek out solid Biblical teaching throughout their lives. 3. Community service takes place as we send those small groups out into the Twin Cities area to work. Students, in their Family Life Groups and with an adult leader, step out of the familiarity of the Concordia Academy building to step into the unknown project ahead of them that day. Groups have done a myriad of projects throughout the years, such as preparing and serving a meal, ripping apart a basement ceiling, cleaning up a home destroyed by fire, painting an entire dormitory, playing games with children, or tending to the neglected gravestones of a cemetery. Projects vary, but the purpose does not: the vision for service is for students to see the needs of our community and to respond in a way that serves people in the name of Jesus. Ultimately, Concordia Academy desires to train disciples according to the plan Jesus modeled. As it is clearly outlined in the Gospels, Jesus chose very ordinary people to be His followers. He interacted with them in small groups. They sat at His feet and listened to Him in order to be more like Him. And Jesus showed them how to step into the plight of their neighbors and help them. We want to be more like Jesus—to see ourselves and others through the eyes of Jesus. That is Concordia Academy’s Vision for Life. CA's 2019 Vision4Life days are February 27 and 28 and March 1. The program is coordinated by Rebecca Fritz. In 1976, Concordia Academy called a young teacher, a graduate of Concordia Teacher’s College in Seward, Nebraska, to teach Chemistry and Math. Bruce Urban accepted this call and has since taught at CA for 43 consecutive years! This year marks his last year at CA as Bruce and his wife Cindy, who also teaches at CA, will be retiring. I first came to know of Bruce when I was a CA freshman in 1981. He was the JV boys basketball coach. I quickly learned that he was a fair but demanding coach who clearly loved the game of basketball and believed that defense was the key to being a great team. It also quickly became clear that Mr. Urban was a popular teacher who was well liked by the student body and his colleagues. In my last year of high school, Mr. Urban taught me chemistry and continued to be my coach, as he now coached the varsity team. I truly grew to appreciate him as both a great teacher and coach. But it was also during this year that my friends and I began to notice changes in him. We had always known that Mr. Urban was a Christian, but he now seemed to talk about the Lord more than he ever had before. We also noticed that he prayed with a sincerity and passion that we hadn’t noticed before. I also began to hear that students who had questions about God or their faith were beginning to seek out Mr. Urban for advice and prayer. In 1985, I graduated from CA. If you had asked me then which teachers had impacted my life the most, I would have had Mr. Urban at the top of my list. And yet, unbeknownst to me, his greatest impact on my life was yet to come. After graduating from college and then seminary, I returned to CA as the campus chaplain. I was now Bruce's colleague, but as I soon discovered, I had more than ever to learn from him. The change that I had begun to notice during my senior year had continued to the point where Bruce’s love and hunger for the Lord was clearly the core of his being. My old coach was now leading Bible studies and prayer groups for both students and faculty. He organized and often drove students and faculty to hear Christian speakers and attend Christian concerts. He encouraged and assisted students in starting an optional time of student-led prayer and praise during lunch. He organized parents’ prayer meetings and walks in and around the school. He volunteered to lead chapels, sharing deep insights into Scripture that moved and inspired all who were privileged to hear him. Bruce and his wife Cindy would regularly meet with me and the other leaders of the school to encourage us and pray for us and the school. In the same way, Bruce would often be seen talking, laughing, or praying with a student or small group of students as he sought to love and encourage them in the Lord. You should know that, throughout all this, Bruce continued to be an excellent chemistry and math teacher. And yet, Bruce’s greatest legacy is that the Lord used him (and his wife Cindy) to move the entire culture of CA into a deeper and richer place with the Lord. He changed my life, the lives of his colleagues, and those of thousands of students. I have no doubt that Bruce’s legacy of loving the Lord with all your heart, soul, and mind is now so ingrained into the ethos of CA that it will continue to bless the lives of countless students and faculty long after Bruce has moved on. 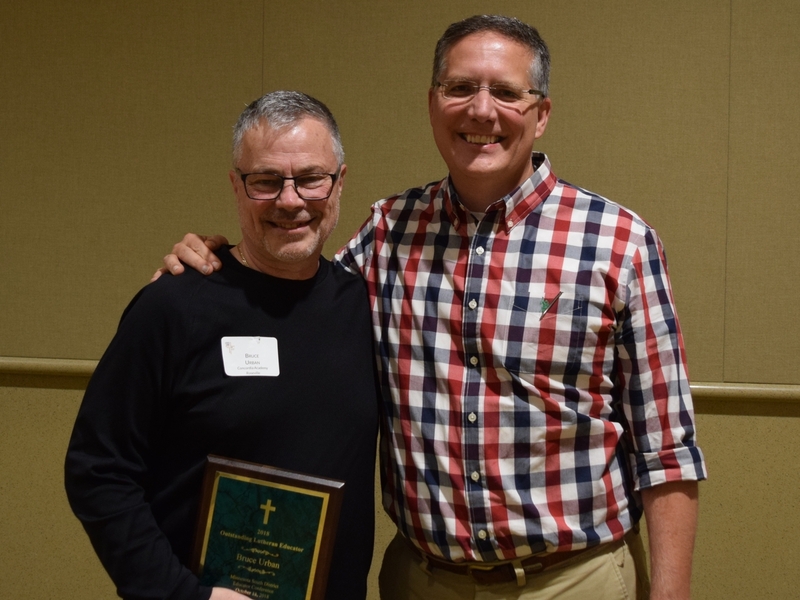 At the Minnesota South Education Conference on October 18, Bruce was named Lutheran Educator of the Year. Congratulations, Bruce! One who has been such a blessing, to so many, for so long, is certainly himself worthy of honor. I took my two young daughters to Target in August for back-to-school shopping. I remember standing at the end of an aisle with hushed whispers arguing with my girls over whether we would purchase the glittery notebooks versus the less expensive plain ones. Then, as I noticed a mom and daughter filling a cart with dorm supplies, I realized how in one heartbeat that was going to be me. I am not ashamed to admit my children walked out with the glittery notebooks. And a donut. Parenting forces us to confront what many of us easily proclaim: our trust in God. But do we really trust Him enough to parent on bended knee and, with open palms, release to Him the ones we love most? Each year, our seniors walk around with a big question mark hanging over their heads about what they're each going to do next year. Dinner table conversations are had, Google searches are made, and whirlwind college visits are planned as parents and students try to figure out their respective roles in the answer to that question. Ultimately, students are left with a choice only they can make for a future only they will live. It is an incredible time of excitement, fear, and confusion. Many of the students who struggle with this decision share with me how they don’t want to make the wrong choice about their future. To them, what to do immediately after high school is something that will either make or break the rest of their lives. And I nod in agreement that this is an incredible decision that they are making, one that should be made with thoughtfulness and deliberation. But I also share how we have a God who knows every fear, every risky wish, every logical plan that crosses our heart. A God who doesn’t abandon us no matter what road we chose. A God who takes every right or wrong choice and continues to tell His story with us. So, parents and students, be steadfast. 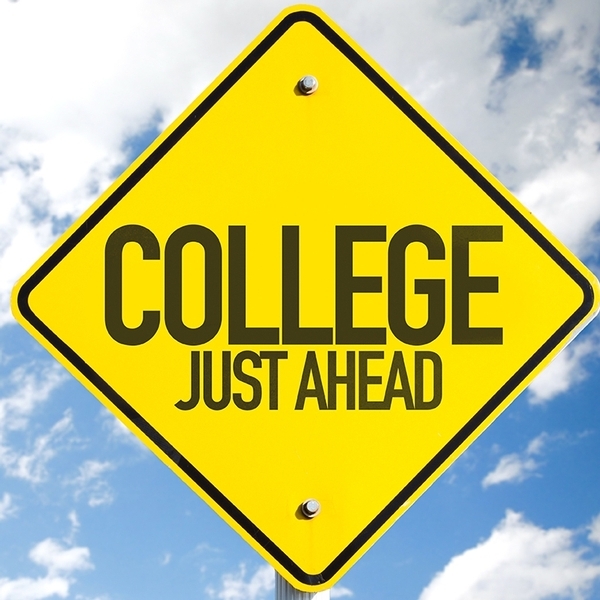 Pour over those college applications, conduct the searches, talk to admissions and guidance counselors, attend college preparation events, prayerfully deliberate. But also live with open palms in reminder that, no matter what campus, what base, what mission field each student ends up on, God will walk before them paving His path and breathing life into these world changers. To help CA students prepare for college, we are offering a College Bootcamp on October 15 and 16. It includes college visits, panel discussions, workshop time for researching and applying to colleges, and more. For more details, email Kelly Mack. There are currently over 15,000 international students studying within the state of Minnesota; I’m proud that 21 of them call Concordia Academy home. Our international students have come from over a dozen different countries, including Liberia, Thailand, Mexico, Vietnam, and, of course, China. 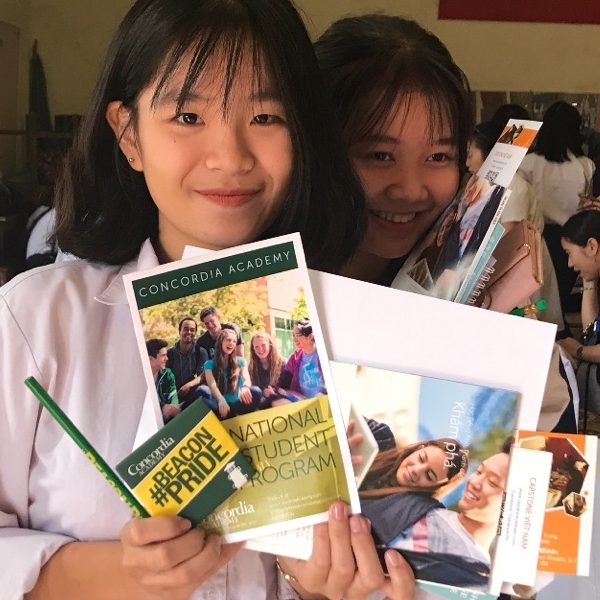 Increasing interest over the last five years has prompted us to be proactive in building relationships with partners abroad to ensure that Concordia Academy has the best possible international students. So, this fall, I took my fourth trip to China in three years, while Sarah Adams, our other admissions director, headed to Vietnam. In late October, I landed in China for what would be my most interesting trip yet. This time was a little different from past recruitment trips; instead of participating in structured educational fairs with other American schools, I was simply meeting with our Chinese partners, on their turf. I visited five cities (Shanghai, Xiamen, Jinjiang, Chengdu and Beijing) in 12 days. I have never felt more welcomed, and I think it’s safe to stay I actually visited the “real” China this time! The Chinese way of doing business is different then the American way. It is almost entirely based on relationships and is truly all about who you know. My meetings were about getting to know each other and typically included a meal or two, followed by karaoke (a LOT of karaoke!). Thanks to karaoke, I found myself visiting the “real” China by eating local delicacies (including, but not limited to, fish skin, chicken feet, and cow stomach) and singing Christmas songs in October. It was so fun to actually experience this part of the Chinese culture, and I was amazed at how welcoming everyone I encountered was. Through these travel experiences, it also showed me how different our two cultures are and how brave these students are for coming to study in a foreign country so different from their own. Our international students bring unique perspectives and consistently contribute to the CA community. We have seen them win at the state robotics competition, play worship music on the guzheng in chapel, become baptized, make best friends, and so much more. At CA, these students are seeing Jesus’s love, and for many it’s a new love never felt before—How powerful is that!? As we see our international program grow, establish partnerships with Chinese schools, and continue to welcome more international students, I look forward to seeing what is in store for them…and for Concordia Academy.